Like Kirito from Sword Art Online, I tested the first Naruto to Boruto Shinobi Striker open beta in February 2018. To be honest, I only tested lobby connection. I was always kicked back to the lobby whenever I started a match anyway, so I just hung around and danced with everyone who, like me, was stuck at the front door. What else do you do when the bouncers won’t let you in the club? 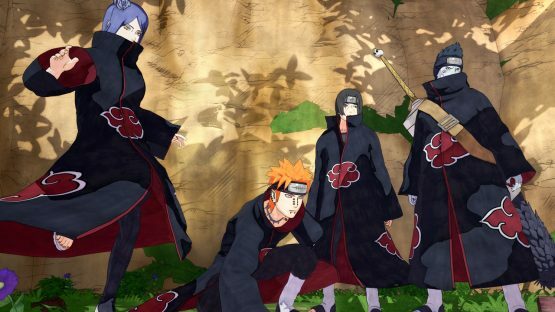 Thankfully, as Bandai Namco Entertainment Producer Noriaki Niino promised in April 2018, the second and third Naruto to Boruto Shinobi Striker open betas—which ran from July 19-21 at set intervals, and again from July 27-29—have come and gone. And I now see why the bouncers weren’t letting people in: Everyone was slipping and sliding and skating and sloppily falling all over the place. It was a mess, and if Bandai Namco and Soleil don’t clean the place up, it won’t be ready for the grand opening. Developed by Soleil—the Japan-based studio that had a hand in games like Devil’s Third and RockShot—Naruto to Boruto: Shinobi Striker is a multiplayer online game based in the Naruto universe. And as the game’s title suggests, you can expect to see characters like Kakashi Hatake and Yamato from Naruto, Madara Uchiha and Sai from Naruto Shippuden, Mitsuki and Sarada Uchiha from Boruto: Naruto Next Generations, and more. In addition to series favorites, the Naruto to Boruto: Shinobi Striker open betas featured character creation, something long-time Naruto fans will likely appreciate. Though the beta’s options were limited, it seems Bandai Namco and Soleil are committed to allowing you to customize your ninja however you want. After I customized my ninja’s attributes—including gender, hairstyle, height, voice, outfit, color scheme, accessories, and various other options—I was thrown into what the game calls the VR Ninjutsu Arena, essentially a mission board. Kakashi Sensei, with his glum look, met me at the door, then proceeded to take me through a solo tutorial mission where I learned the game’s different mechanics, move sets, classes, and tactics. Upon completing three or four introductory classes, Kakashi Sensei dismissed me, letting me meander around Konohagakure. Not Everyone’s Ready For The Mission? The VR Ninjutsu Arena is exactly what you’d expect from a series of anime game tutorials: text-heavy, obnoxiously long lectures interrupted by more text-heavy, obnoxiously long lectures. It’s sitting in history class watching the second-hand frozen in time while your professor goes on and on about how weapons in the American Revolution were heavy, primitive, and time-consuming, information you’ll likely never use again. And after completing these few, rudimentary tutorials—which must be commended for doing an excellent job at familiarizing you with its set of systems, even if its systems aren’t all that complex—there’s Co-Op Missions (which were inaccessible during the betas) and nothing else. That was it. So I moved over from the VR Ninjutsu Arena to the Hokage’s Estate. Naruto Uzumaki proudly (and kind of awkwardly) stood in front of the door, excited to send me out on my first of four kinds of missions: Barrier Battle, a 4v4 mode similar to a Capture the Point game type; Base Battle, a 4v4 mode similar to a Defend the Point game type; Combat Battle, a traditional 4v4 Team Deathmatch mode; and Flag Battle, a traditional 4v4 Capture the Flag mode. As you might’ve guessed, each one of game’s modes requires eight players to instantiate. But not all matches will begin with eight players. I’ve often encountered teams that were short at least one member, and throughout the duration of the match, that spot remained vacant. Sure, this led to imbalance issues, as one player almost always found themselves in double- and/or triple-team situations, but this is just one of the many problems the Naruto to Boruto: Shinobi Striker open betas faced. In particular, there were two issues that plagued the betas: class advantages and net code. Before a match began, you’d select one of four classes: Attack-type Fighters, fighters with fast and strong attacks; Defense-type Fighters, fighters that focus on reinforcing defenses; Heal-type Fighters, fighters capable of healing themselves and/or their teammates; and Ranged-type Fighters, fighters that focus on long-distance attacks. And of course, Ranged-type Fighters held the advantage during the Naruto to Boruto Shinobi Striker open betas. But the advantage wasn’t something as innocuous as, say, higher mobility. Ranged-type Fighters had access to Fire Style: Fireball Jutsu and Fire Style: Phoenix Flower Jutsu, two moves with the fastest activation, shortest cool down, and highest tracking. 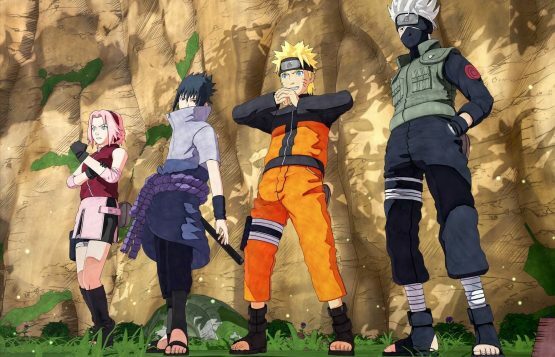 Unlike hero shooters (Overwatch) and MOBAs (Smite) that have a one character per team limit, the Naruto to Boruto Shinobi Striker open betas allowed you to construct entire teams of just one class. I frequently ran into four-man, Ranged-type Fighters. And because this long-ranged class has access to Fire Style: Fireball Jutsu and Fire Style: Phoenix Flower Jutsu, entire matches were just these two jutsu spammed ad nauseam. This was frustrating because each class does have its strengths and weaknesses—especially Ranged-type Fighters, who’s glaring weakness is their lack of effective combos up close—none of it mattered when everyone picked the same class. And because everyone treated the Naruto to Boruto Shinobi Striker open betas like Call of Duty multiplayer matches, I’d see all these Ranged-type Fighters bouncing off walls like rubber balls, incessantly shouting “Fire Style,” followed by a huge gust of fire projectile vomiting out of their mouths. It’s more impenetrable than Gaara’s ultimate defense. But what’s worse than an impenetrable defense is a slippery surface, and the Naruto to Boruto Shinobi Striker open betas had serious net code problems. During the second beta, every ninja looked like they glued bananas to their sandals, as everyone was sliding all over the place. While substitution jutsu operates on a cool down timer, some ninja were teleporting around the map even after substituting—and you can only substitute once before the timer starts. Many others were just punching right through me because of the network’s shoddy connection. Latency was also a point of contention, as I’d find myself falling to my death because of a delay or outright rejection of input registration. And while the Naruto to Boruto Shinobi Striker open betas net code was noticeably better during the third beta, the issue of latency still persisted and continued to force me to plummet to my death. Couple this with the high tracking (and high damage) of the two Fire Style jutsu and the Naruto to Boruto Shinobi Striker open betas had a vile recipe for a frustrating experience. Is That It, Pervy Sage? Longevity will probably always be a divisive point for multiplayer-focused games, and unfortunately, the Naruto to Boruto Shinobi Striker open betas do nothing to calm concerns about the game’s life after release. Once you’ve played each of the Battle types once, you’ve essentially played the entirety of the game. 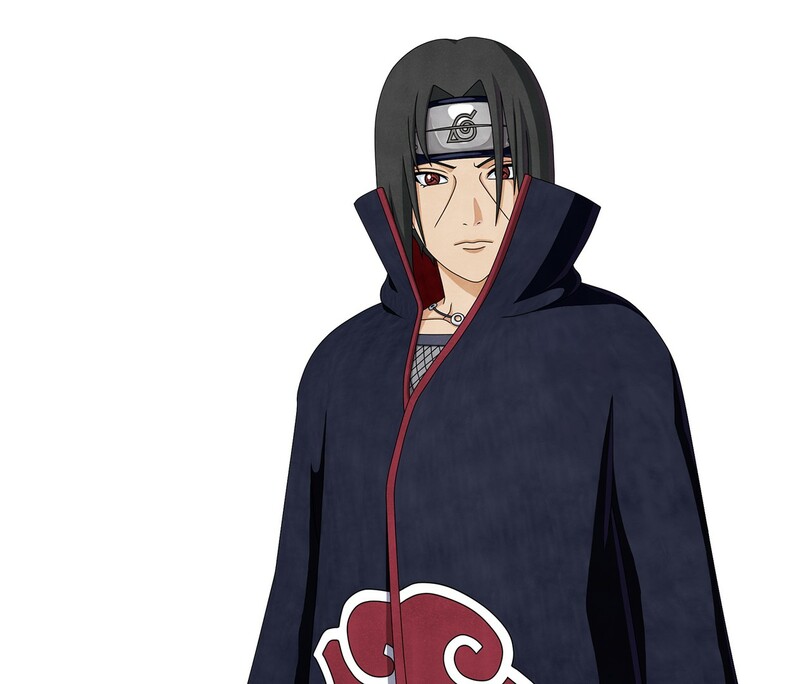 And while the debate of a game’s longevity is a legitimate concern—especially in Naruto to Boruto: Shinobi Striker’s case, where Solo Mission mode seems to be nothing more than a series of training missions with Master characters to learn signature jutsu—Naruto to Boruto: Shinobi Striker needs to go back to class and study some more before the big test. If it doesn’t come back with a stronger, sturdier foundation, and a more balanced understanding of its team, then Naruto to Boruto: Shinobi Striker may be stuck as a Chunin for a quite while. Naruto to Boruto: Shinobi Striker will be available on PC, PlayStation 4, and Xbox One on August 31, 2018.